I was just in my kitchen baking Paula Deen's Fresh Apple Cake from Georgia wishing I had a bigger kitchen! 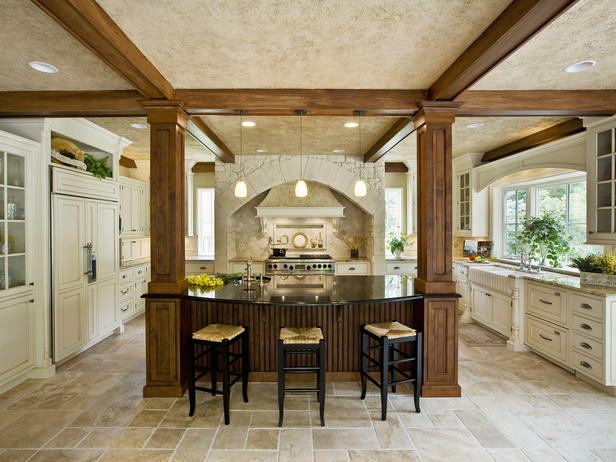 No matter what, there never seems to be enough counter or cabinet space. The ingredients for the cake took up the most of the counter space in the kitchen, so I had to chop my apples on the kitchen table. Ideally, I would like to do all of my prep in the kitchen! Most people purchase a home based on three things: the kitchen, the kitchen, and the kitchen. It's the heart of the home, where the family gathers after long days at work and school, and where girlfriends gossip late at night while enjoying several glasses of wine. I purchased my home based on it's price, not the kitchen. So my kitchen is nowhere near the size that I would like for it to be. But it serves its purpose and for that I am thankful. It's small, but quaint, cozy, and most importantly- organized! 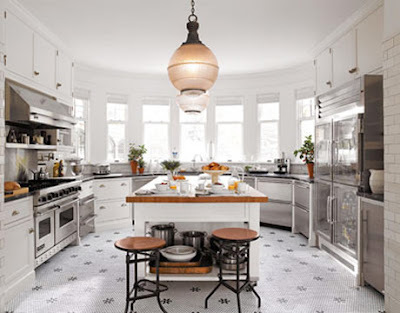 My dream kitchen is a kitchen that is bright, spacious, easy to navigate, and organized. 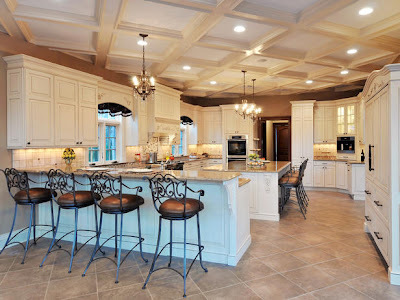 I like kitchens that offer a mixture of both modern and traditional styles. That way the kitchen is crisp, but cozy at the same time. Oh and by the way, the Fresh Apple Cake from Georgia is DELISH! !